What is it about making tiny versions of real food that makes it that much more delicious? I don't know, but these little munchkin sliders definitely fit the bill. The only real danger, of course, is that cute little food never seems quite as large on the plate (obvi) and so you might end up eating twice as much as you normally would. Not that any of us here did. Ahem. The mint adds a nice brightness, and lightens up the warm flavors in these sliders. 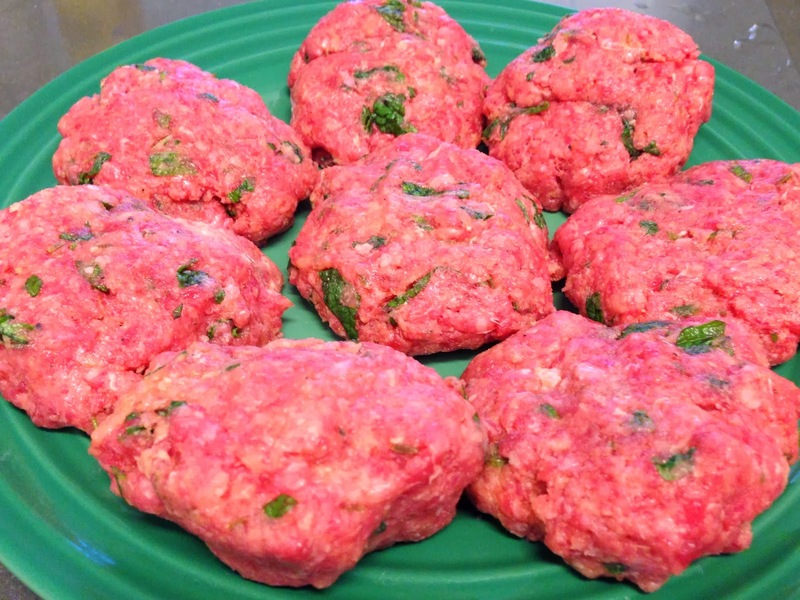 And the little patties freeze really well, so if you don't have an army to feed, all the better - make some extra anyway and pop them in the freezer for an easy weeknight meal. Although sliders are mini burgers and burgers should be grilled, the constraints of a little NYC apartment being what they are, these little guys came to life in the cast iron pan on the stovetop. Of course, if you happen to have a grill, you'll get a nice charred smoky crust, which will make these all the better. Then again, part of their charm lies in the fact that they cook up super quickly and don't really necessitate firing up the grill for something that gets cooked in 5-6 minutes. No, on second thought, even if you have a grill, don't bother. These are quick, these are easy, these are no-grill sliders. 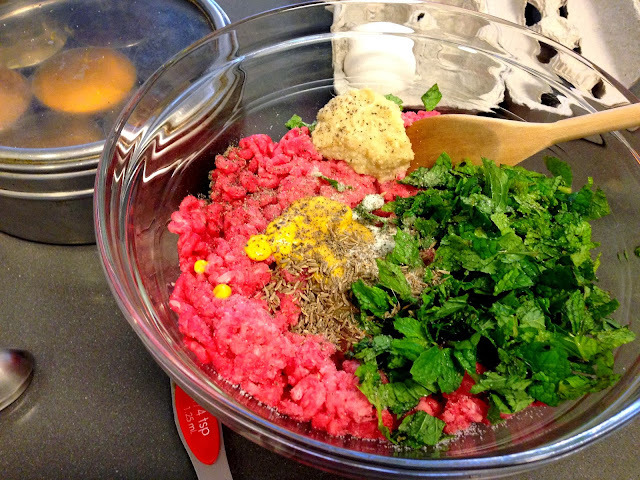 In a large bowl, combine all the ground beef, mint, egg, spices, and bread crumbs. 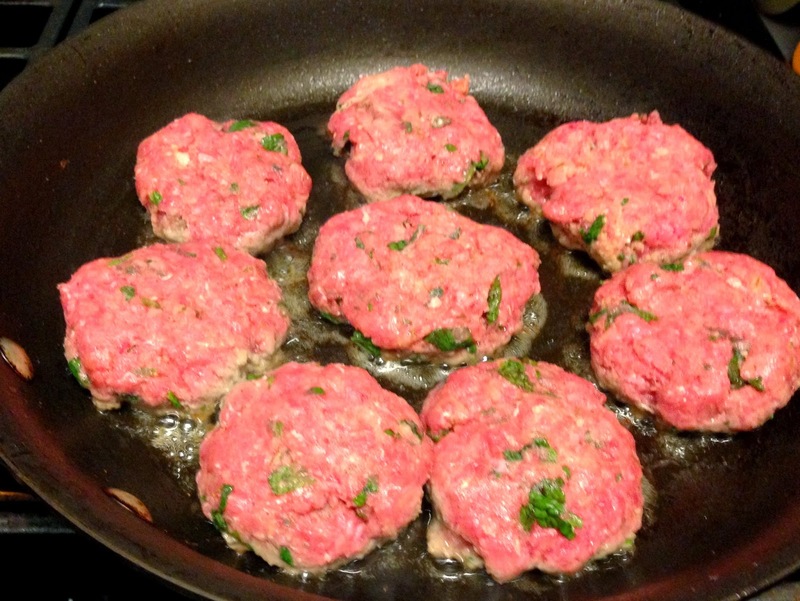 Form the meat mixture into sliders (about 1/3 the size of regular burger patties) and set aside. In a pan, heat some olive oil or butter (just a very little will do, as the sliders will also release their own grease) on high. Reduce heat to medium and place the sliders in the pan. Be sure not to crowd the pan - work in batches if necessary. Sear the sliders for 2-4 minutes on one side, the flip, and continue to sear the other side until the juices run clear (another 2-4 minutes) or to your preferred doneness. While the sliders are cooking, mix together all the ingredients of the yogurt sauce. 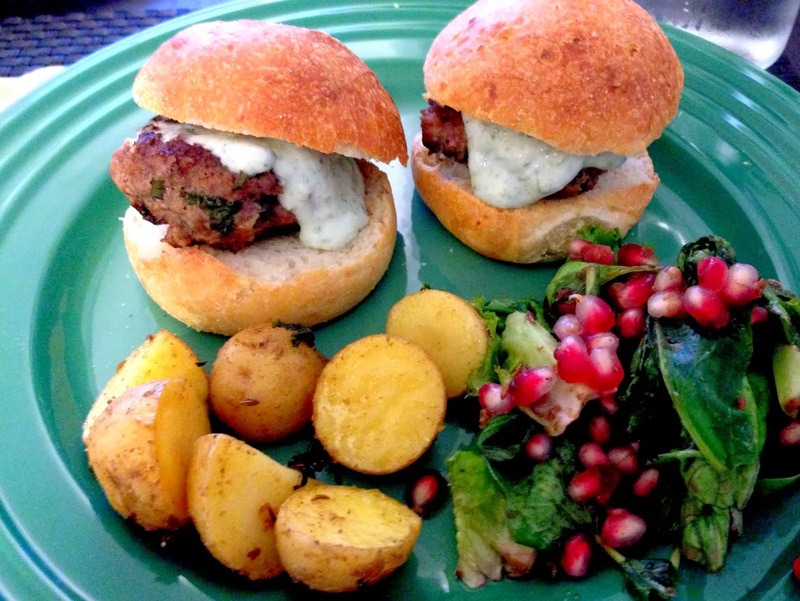 Toast the mini rolls and serve the sliders with a nice dollop of yogurt sauce on top.